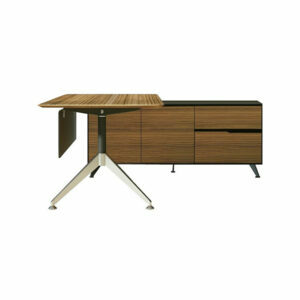 Munich Rectangular desk in a range of sizes & finishes. Great for open plan areas or add a modesty and use as an executive desk. 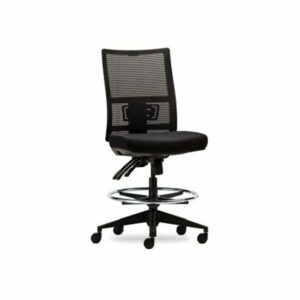 The Ace is an ergonomic office chair with a breathable mesh back and matching fabric seat. Available in stock for immediate delivery in a black fabric. 5 year warranty. – Gas-lift seat height adjustment. – Mesh back with lumbar support. 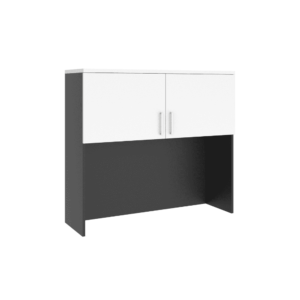 This cabinet comes with lockable sliding doors, 4 x adjustable shelves and is available in a white powdercoat. 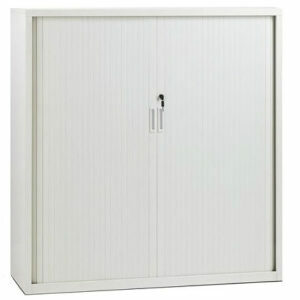 The cabinet is 500mm deep and 2000mm high and available in 2 widths. Supplied flat packed for quick shipment anywhere in Australia or we can supply fully assembled. 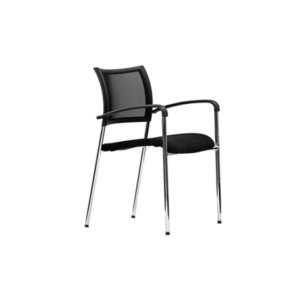 Denver Boardroom Medium Back chair comes with a black leatherette and polished alloy arms & base which enhances any corporate boardroom or meeting room. In stock for immediate dispatch. 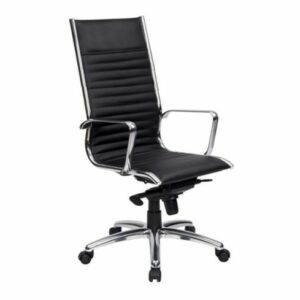 Denver Boardroom High Back chair comes with a black leatherette and polished alloy arms & base which enhances any corporate boardroom or meeting room. In stock for immediate dispatch. 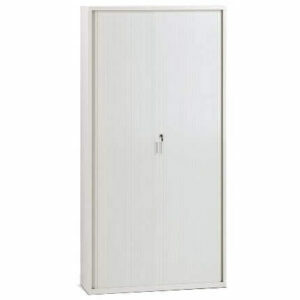 This cupboard is available as either 900mm or 1200mm wide x 500mm deep and the height is 1200mm high. Comes with 1 adjustable shelf or the option to add an aditional shelf. 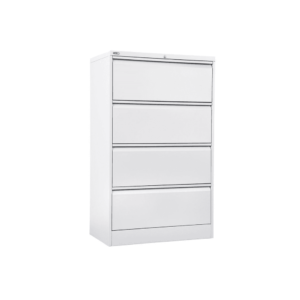 This cabinet comes with lockable sliding doors and is available in a white powdercoat. 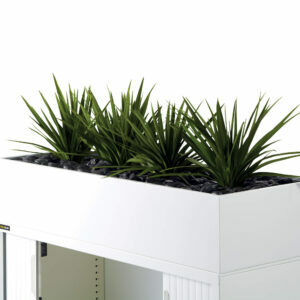 The Denver Planter Box fits to the top of the Denver Tambour Cupboard Small and Denver Tambour Cupboard Medium providing a cost-effective and organised way to bring plants into the workspace. – Artificial plants & stones available on request. 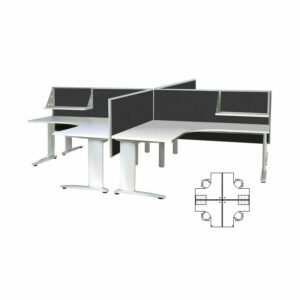 The Munich Corner Workstation is perfect for all general office situations where no under-desk screening is required, such as against walls or when configured with divider screens. 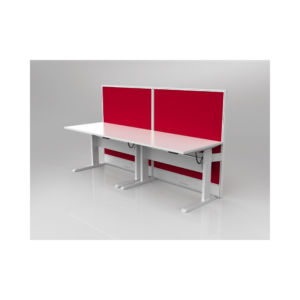 The modesty panel option can be fitted to either side of the workstation top. 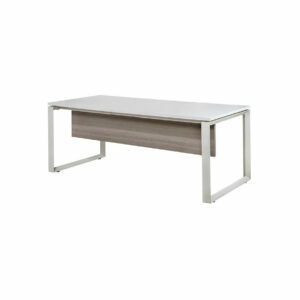 The Munich Desk Return is easily fitted to the range of Munich Desks and Workstations. 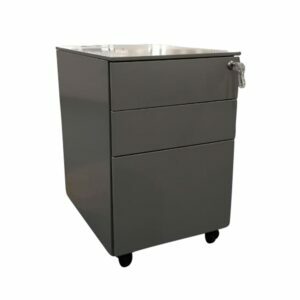 Perfect for the executive office or anywhere a little more worktop space is required, the sturdy metal legs offer outstanding rigidity and unimpeded user space. 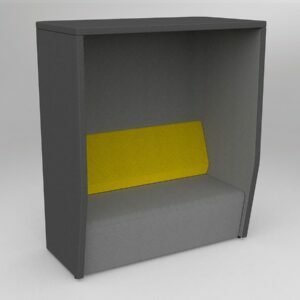 The Aero Reception desk offers a striking modern design meshed with exceptional value for money. The shadow lined feature panel can be finished in a bold primary colour to highlight your corporate livery or a stylish woodgrain finish. Munich tables will support meetings of all kinds within your offices or organisation, with a ‘A’ leg design that allows seating around the complete perimeter of the table-top. Table height is 720h. A sturdy metal top-support beam provides rigidity and the Powdercoated finish ensures Munich easily stands up to the demands of constant commercial use. 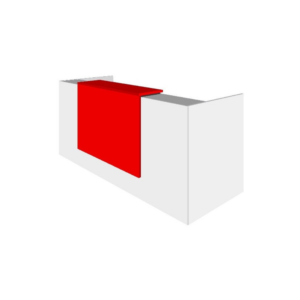 – Metal legs & top support beam. 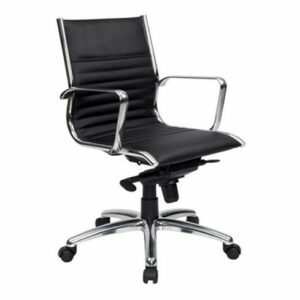 Alto’s mesh back chair with arms and stylish chrome legs make for an exclusive looking chair at a non-exclusive price. In stock for immediate dispatch. 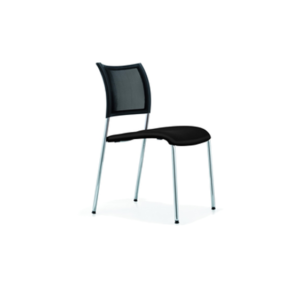 Alto’s mesh back chair without arms and stylish chrome legs make for an exclusive looking chair at a non-exclusive price. In stock for immediate dispatch. 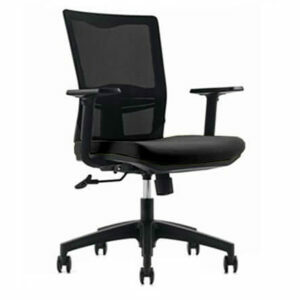 An ergonomic office chair that is suitable for those spending a lot of time sitting at their desks. 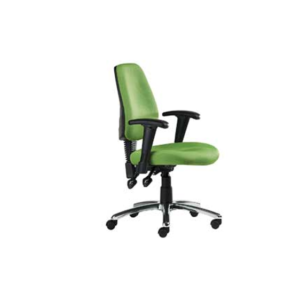 Offering superior comfort with excellent ergonomic capabilities. 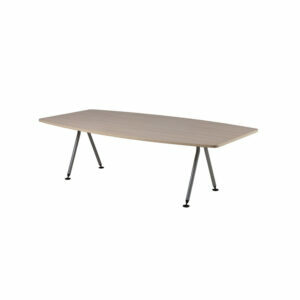 Folkstone Straight Desk is perfect for those wanting to set up their office in a hurry. Available flat packed or assembled. Drawers are an optional extra. Stockholm Computer Desk is perfect for office and classroom situations. 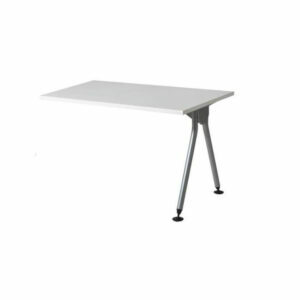 Sturdy, unobtrusive steel leg design with a 25mm Formica melamine top. Custom sizes and colours are available (POA). 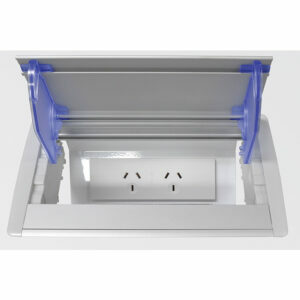 Supplied with 2 x 60mm Cable Entry Caps in the top left & right hand corners of the desk top. 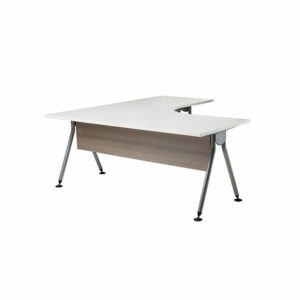 The Linq Desk is typically used for stand-alone management desks and other general office situations. It is compatible with the Prestio Screen sytem for open plan areas. 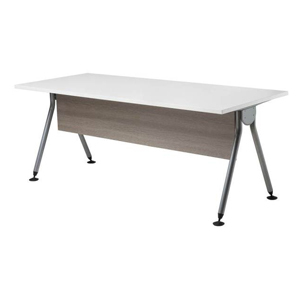 Linq offers the latest in office desking with a striking leg design that features a triangular profile. The adjustable telescopic beam-frame offers outstanding rigidity and unimpeded leg space. 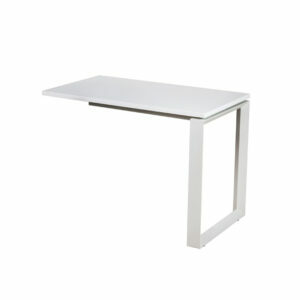 The Linq Desk Return is easily fitted to the range of Linq Desks with or without modesty panel. 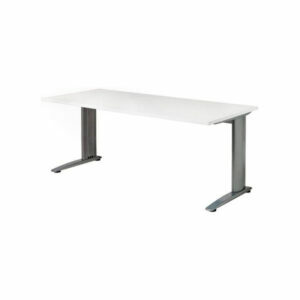 Perfect for the executive office or anywhere a little more worktop space is required, the sturdy metal legs offer outstanding rigidity and unimpeded user space. 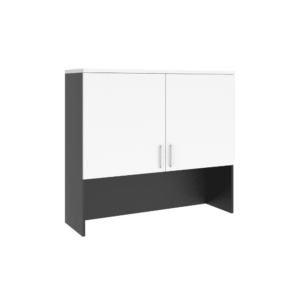 Linq Cupboards are locally manufactured and incorporate high-quality materials and fittings. The adjustable 25mm melamine shelves and 2mm high impact ABS edging ensures Linq easily stands up to the stress of constant commercial use. 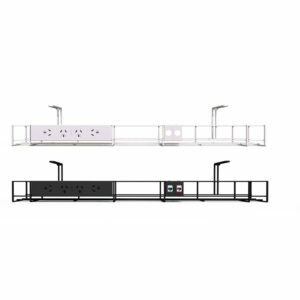 Can be shipped assembled or flat packed to nearly any location in Australia. – Australian Laminex melamine board. – 25mm melamine top & shelves. – Solid 18mm melamine back. Alpha is our premium melamine range that is manufactured in WA using Laminex board and high-quality hardware. 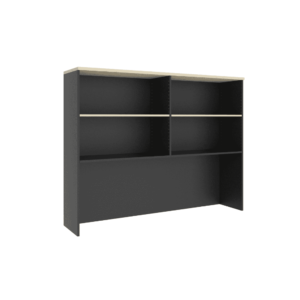 The Overhead Hutch provides easily accessible open storage that can be fitted to either desks or credenzas. Available in a range of popular colours and sizes, they can also be customised to suit your exact requirements. 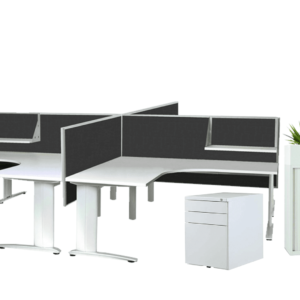 Because of the breadth of products, we have available online, we can cater for any office fit out requirement. Whether you are setting up your new home office or organising an entire level of workspace for 200 seats, we got you covered. Please see below the product categories we cover. If there is something that you can’t find, please contact us and we are able to help you source it. Our goal is to provide end to end customer satisfaction. This is one of our happy clients who so kindly wrote. Care and Maintenance are vital to the longevity. To assist you in setting up your workstation in line. We’ve detailed here our basic quotation and sales conditions. 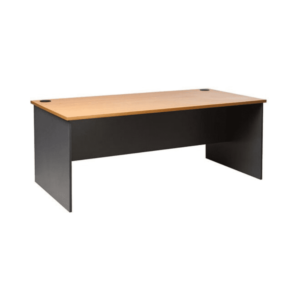 As Office Furniture specialists in Perth, Direct Office offers a wide range of Office Desks, Office Chairs, Office Workstations, Office Storage, Office Tables, School Furniture, Café Furniture, Office & Desk Accessories and Specials. Our Office Furniture includes a massive range of furniture solutions to suit your needs which is available in stock for immediate delivery in our Perth factory. Sourcing the correct office furniture for your business is a very challenging task that needs to suit each staff members requirements, especially factoring in how much time individuals spend using office furniture. 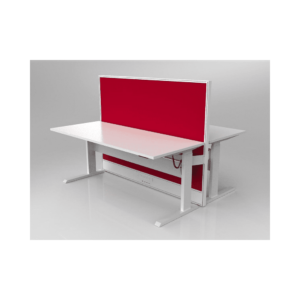 Direct Office stocks a large range of furniture products that are suited to a variety of functions and workplaces. For example, ergonomic office chairs are suited for OH&S standards, our adjustable waiting room chairs are suited for medical centres & airports, and our tub chairs are suited for reception areas. Our Office Storage products eliminates the wasted time searching for files & documents. 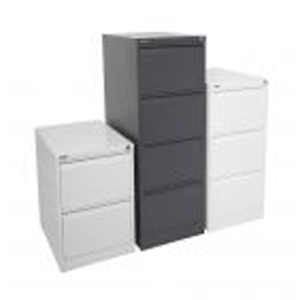 Through a selected range of filing cabinets, office drawers and mobile pedestals, our Office Storage is pivotal in maintaining an efficient & productive office. If you are looking to fit out your business with our office storage we recommend you combine the products with our office chairs & office workstations. If you are looking to fit out your workspace with quality office tables, we also recommend that you check out our office chairs and office storage, for a perfect match. 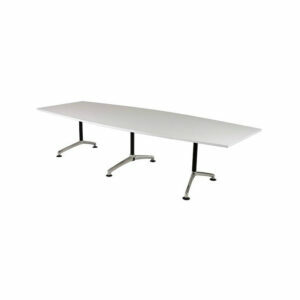 Every business throughout Perth has office tables that can be used for a wide range of applications. 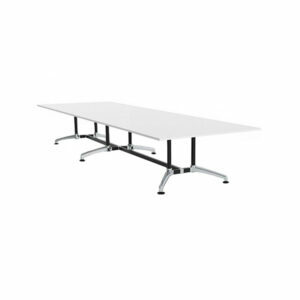 Some of the styles we have available are conference tables, folding tables to create an agile training room and smaller meeting tables. As a Perth, WA family owned business Direct Office has over 30 years’ experience in the Office Furniture market. Our factory in Kewdale employs several highly skilled cabinet makers who produce all our Perth Made furniture. Our online showroom in Perth offers a great opportunity to view a wide range of custom furniture styles, prices and finishes for your fit-out in a central location, saving you time and money. Our experienced sales team can help design and implement your office fit outs. Whether through design and colour recommendations or on-site measuring and layout – we can help. 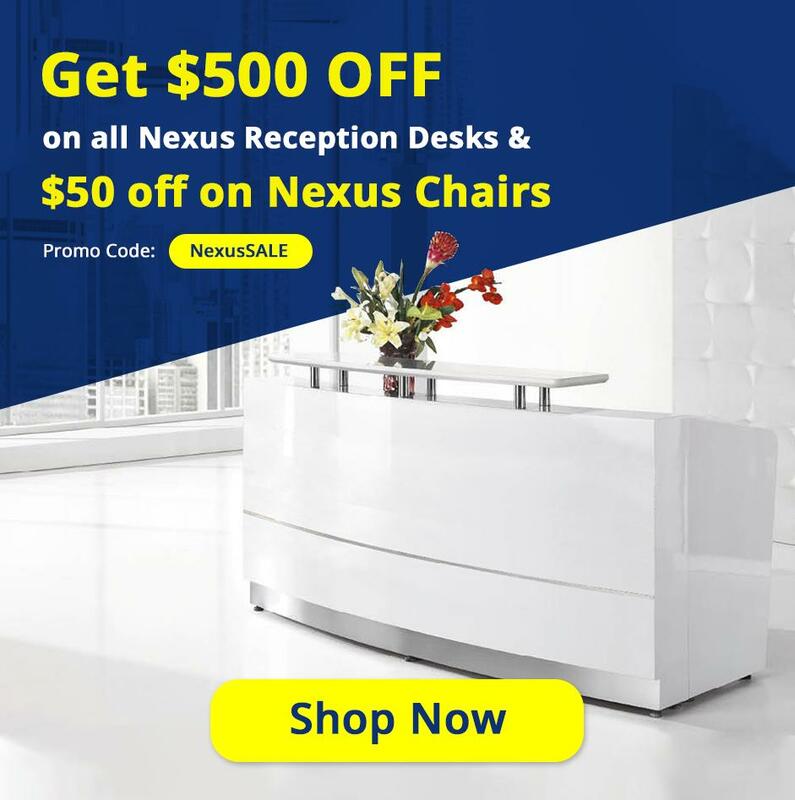 To find out more information on our Office Furniture, call us on 1300 089 843, or start a chat with one of our consultants (in the bottom right hand corner). 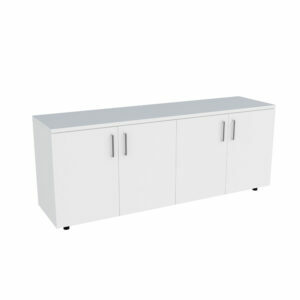 View cart “Stockholm Cluster – 4 Person 1500×1500” has been added to your cart.